While the music world continues to heal from the unexpected death of Mac Miller, his family has begun to honor his legacy as best as they can. 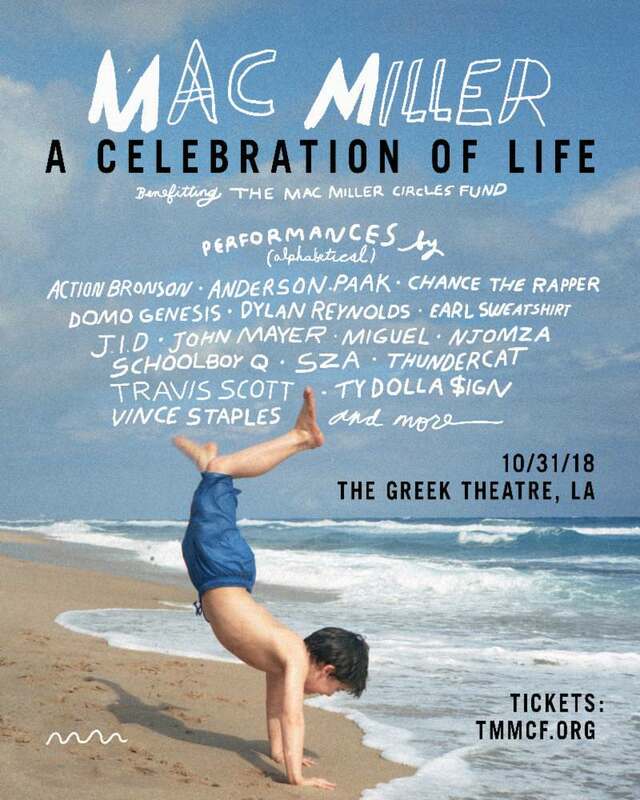 Miller’s family has announced A Celebration of Life, a show that will both honor the faller musician and benefit the newly-launched Mac Miller Circles Fund (MMCF). Rounding up some of Mac’s closest friends and collaborators — ScHoolboy Q, Anderson .Paak, Travis Scott, Chance The Rapper, SZA, Thundercat, Vince Staples, Miguel, Ty Dolla $ign, J.I.D. and others — all net proceeds will go towards the MMCF, which aims to help young people in underserved communities by giving them access to programming and additional resources centered on creativity and community building. Taking place on Halloween (October 31st), tickets will be available this Friday (October 5th) on the MMCF website.